See scan - perfect condition. 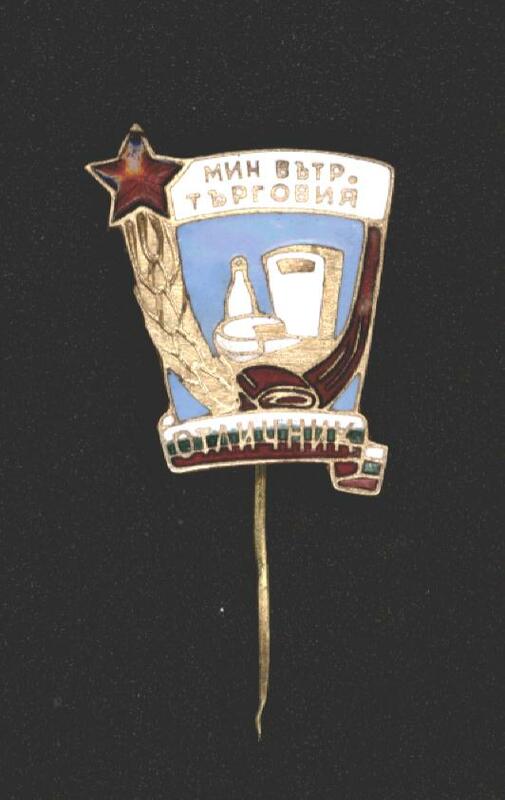 This is a nice and rare Bulgarian early Communist / socialist badge awarded to distinguished workers from the Domestic Trade Ministry. Nice collector piece and one of the nice Bulgarian honorary badges and pins.